Panda 4.2 or Panda 5.0? Digital Agency » Blog » Panda 4.2 or Panda 5.0? As announced by Barry Schwartz in Search Engine Land last July 22, Google starts rolling out its newest Panda refresh barely a week ago. Nonetheless, Google also claims it would take months before the newest update will be fully rolled out. 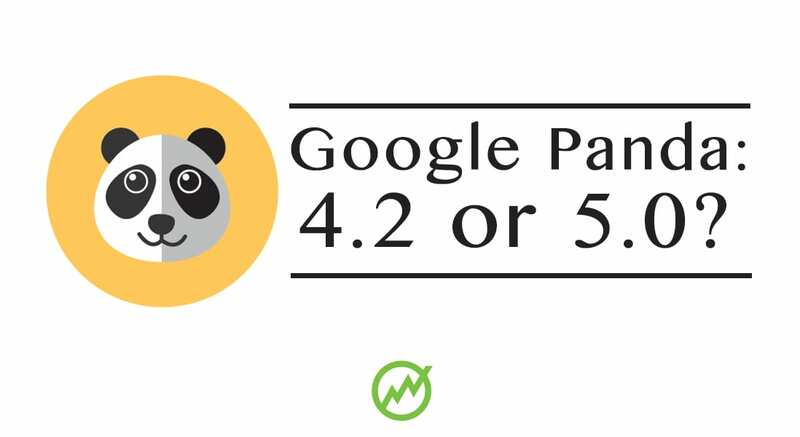 It could be just a Panda 4.2 (minor) since it is just a refresh of Panda 4.1 or a Panda 5.0 (major) since it will still penalize websites that deviate from Google’s guidelines. We don’t know yet. More so because only Google knows how many months the update will take. What we know is that the majority of the webmasters and digital marketers have noticed no changes on their websites at all. Google itself says that, while the update is a site-wide algorithm change, the effect of such on a website will be slow. Changes will not be seen on your pages immediately. Blindsided by Google, this means that we can only analyze the full effect of such on our websites after Google had finished implementing the algorithm update. An official algo update, which was dubbed as Panda 4.1, happened on September 25, 2014. Panda 4.1 is Google’s 28th Panda update. This update affected about 3 to 5% of English queries. Google stresses that the newest update, on the other hand, will only affect about 2 to 3% of English queries. As with other updates before, there will be winners and losers. However, this presents a new opportunity for those sites that were penalized by Google last September. For the record, Panda 4.1 penalizes websites with low-quality contents. So, if you have been publishing high-quality, unique and engaging contents since the last quarter of 2014, your site may emerge triumphantly from the penalty. This could mean higher rankings for your keywords, too. That is, if your site has not realized any positive results following the Mobilegeddon last April wherein Google crawled probably all websites to determine if all are already mobile-friendly or not. Even so, even if your site has not been hit by any Panda update before and you are publishing contents that Google favors on a consistent basis, your site may be hit this time. For now, observe your websites if there will be major spike or drop in traffic.